When times like these have inspired the likes of Vivienne Westwood, there's no harm in saying no. Yesterday, I had a little family trip to Hampton Court, as my Granddad hadn't been for 20 years or so. I must admit after visiting Hampton Cournt 3 times or so before, I wasn't exactly that open minded to it. Though once there, I was in awe of all the renessaince paintings, frames, and deer heads (and no I'm not an Animal killer, just lovin' the english Herretaige style). Full of blooming tress that caress the gardens, it was a beautiful and picturesque site. Not only that, but after reading books such as the 'Other Bolyn Girl', I always seem to feel a lurking sense of gossip and scandal. Well I did experience a bit of scandal, I decided to wear tights that were too small for me. So therefore we ended up going back to the car park, and somehow managed to carefully snip the bottom half of the tights and then change back, still keeping all my dignity. As for the outfit, it was not inspired by the trip. I'd been lusting for a Hawaiin T-Shirt for yonks, and then suddenly BAM out comes a whole rack full of £5(!!) Hawaiin shirts in Brighton. So whilst there a few weeks a go, I bought one. It wasn't until after buying the shirt that I then realised how on trend it was, with similar themes showing in PRADA SS11 and Dior SS11- so much more styling to come for this shirt. 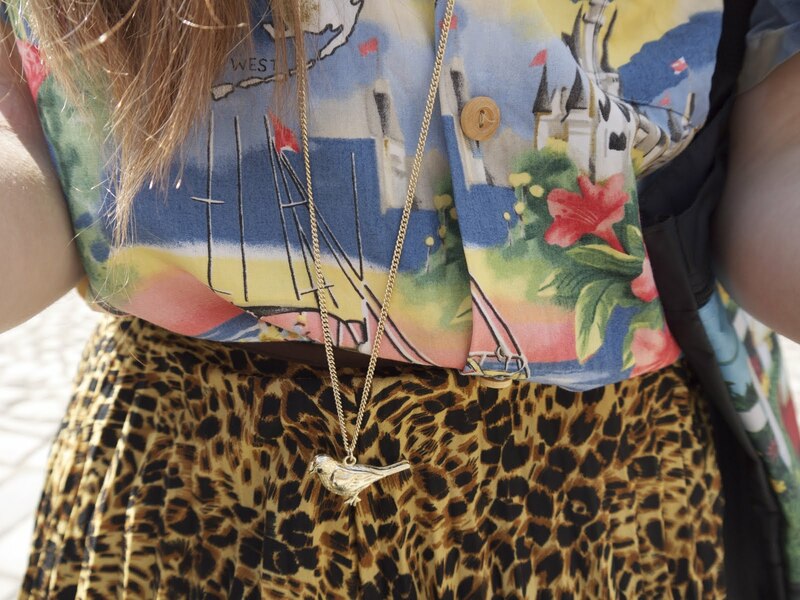 So I paired it with my leopard print skirt and Topshop Bird necklace- taking a leaf out of PRADA. Hawaiian shirts are notoriously known for bad taste, so I made the outfit more kitsch by adding the little dog embellished bag that my Grandma gave to me when I was younger. I have gazillions of Hampton Court photos, but I'll wait for more of a similar themed outfit till I share them, makes more sense. Plus with all the bloggers youtubing at the moment, such as the wonderful STUDMUFFIN blog, I was wondering if you guyzz would be interested- I have some DIY tutorials that are awaiting to be shared. So as ever, any thoughts just email me at izzy.dot@btinternet.com! Hope you all had a fab Holiday, on a Royal note I bought a tiara at Hampton court! love the outfit, the clashing prints are fab. LOVE how you mix prints! Always look amazing! Love this outfit!! That's a funny story about the tights!! How fun! That necklace is great, too! I would love to see some DIY's from you! I love your skirt and bird necklace! and yeah, "vlogging" is really popular right now. You should totally give it a try! Skip to my blog to know what you think of the new title! love your cute necklace ! Loving da kitch ness and by george your right, the hawaiin shirts are sooooooo in season, darlink -and i mean that-.i love the idea of lots of prints colours mixing together for the upcomming summer -well look at that, i just did made up a fashion statementy thing that could go in an artical oh and said in an 'sainsburys checkout' voice. i also tried to lighten my hair blonde via lemons but it failed, but yours looks lovely and nice.oh yh i was in cornwall too for the easter hols, its beauts there and i like the smell of the freshness of the cornish sea (AND PASTYS).i love your dog bag, too cool for my liking. oh and thank-you for your lovey comment!! dear lord, ramble, ramble, RAMBLE, soz. i love your new blog layout and loving your blog as always. p.s. do do a vlog, i dare you. Ahh! I love this so much and have you got a 'new look' for your blog? It's really nice! beautiful pics. love the leopard skirt! I absolutely LOVE your outfit!! So cute, you've got great style. Although you didn't mean for your hair to be that color, I think it looks great! Love this look, and what a nice way to spend the day. 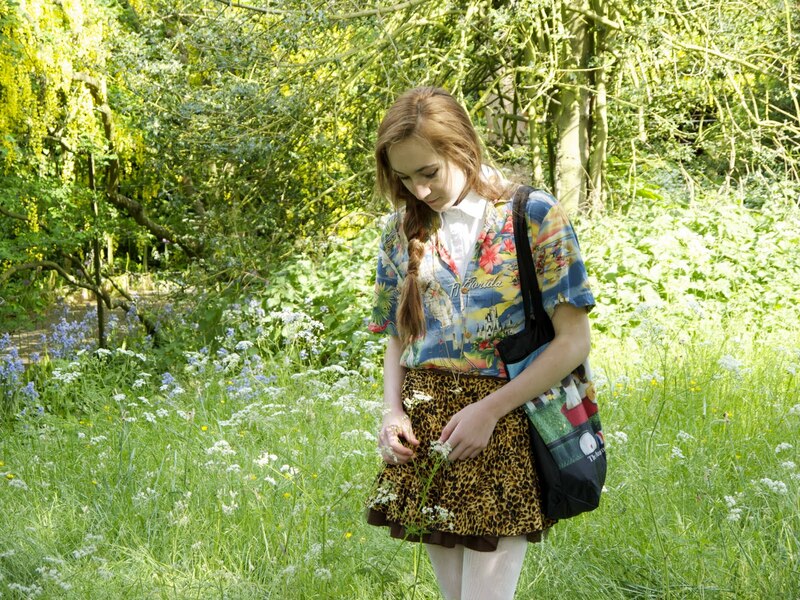 Great outfit, I love the hawaiian shirt + leopard skirt mix. Loving your amazing clashing prints... so colourful and fun! Love your shirt!! It is very very cool! :D I'm following! great blog. super sweet look! soo eclectic i love it! and i'm totally jealous that you got a tiara!! I love this! The colours and the photography are just superb! That outfit is freakin' perfect!!! love the combo of the colors and the leopard! very inspiring! only the best of us are ginga. claim it. love this outfit. so beyond brill. i looove this prints combo!! i absolutely love this look!! i love all the different prints!! they all go so well together! I think your hair looks amazing like this, much better than it would be blonde actually! 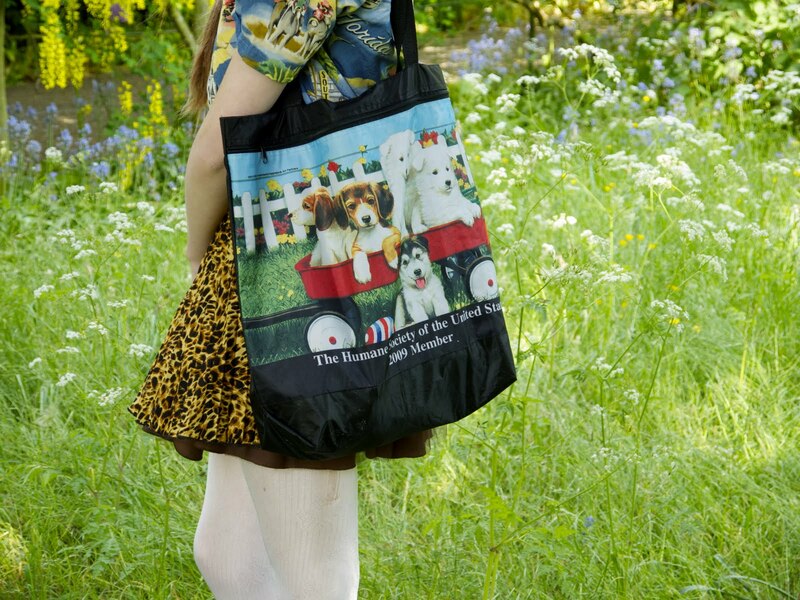 And your hawaiian shirt is amazing, also the dog bag is pretty awesome too! arrgh i love this!! 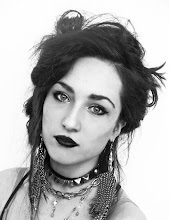 rad blog! OMG i love love love this outfit!